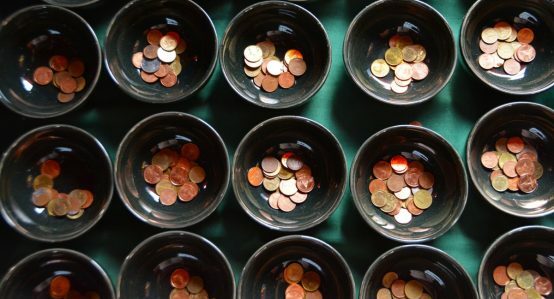 In 2013, the World Bank Group (WBG) committed itself to twin goals: To end extreme poverty by 2030, and to achieve shared prosperity, defined as, “fostering income growth of the bottom 40% of the population of every country.” Last November, the Bank’s Independent Evaluation Group (IEG) published a report entitled Growth for the Bottom 40%, which found a series of problems with the Bank’s progress on this goal. Some of these, such as the scarcity of timely and good-quality data, are unsurprising. Others, however, hint at problems with the Bank’s approach to shared prosperity more generally. The IEG findings indicate that the Bank’s approach to shared prosperity suffers from a lack of clarity, prioritisation and ambition. The IEG findings and recommendations suffer from the Bank’s narrow approach to shared prosperity. The Bank’s limited definition of shared prosperity as income growth of the poorest overlooks the pernicious impacts of wealth inequality. Economists such as Thomas Piketty have warned that if the richest accumulate wealth at a faster pace than economies are able to grow, inequality in that society will intensify. Indeed, a January 2018 Oxfam report entitled Reward Work, Not Wealth found that 82 per cent of the wealth generated last year went to the richest 1 per cent, while the poorest 3.7 billion people saw no increase in their wealth. As outlined below, the Bank’s definition of the shared prosperity parameters, coupled with IEG’s findings, has obvious implications for the policy prescriptions and strategies used by the Bank to pursue its second goal. While the IEG evaluation stated that only about 6 per cent of staff “mention work focused on improving macro stability or taxation policies as a channel for contributing to the shared prosperity goal”, it does not go on to mention ways to explicitly improve this in its recommendations. It thus seems to ignore evidence, such as that provided by the Tax Justice Network August 2017 blog, of the positive impact progressive tax policies can have on decreasing inequality. Moreover, Oxfam’s inequality report stated, “There are two important ways to achieve a human economy: designing economies to be more equal from the start, and using taxation and public spending to redistribute and create greater fairness.” Governments could then use regulation and taxation to radically reduce levels of extreme wealth, as well as limit the influence of wealthy individuals and groups over policy making. 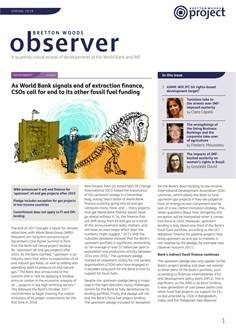 While the report clearly stipulates that, “supporting equitable and sustainable macroeconomic policies” should inform much of the shared prosperity work, it does not address the implications of the Bank’s Maximising Finance for Development (MFD) approach and its related push for public-private partnerships (PPPs) on macroeconomic sustainability or equality (see Observer Summer 2017). Civil society expressed its concern in the October 2017 ‘PPP Manifesto’ signed by 152 CSOs, which stressed that the available evidence on PPPs indicates that they threaten macroeconomic stability through hidden debts and contingent liabilities, and increase inequality through user fees for the most vulnerable (see Observer Winter 2017-2018).